El Portal Sedona Hotel Welcomes You! 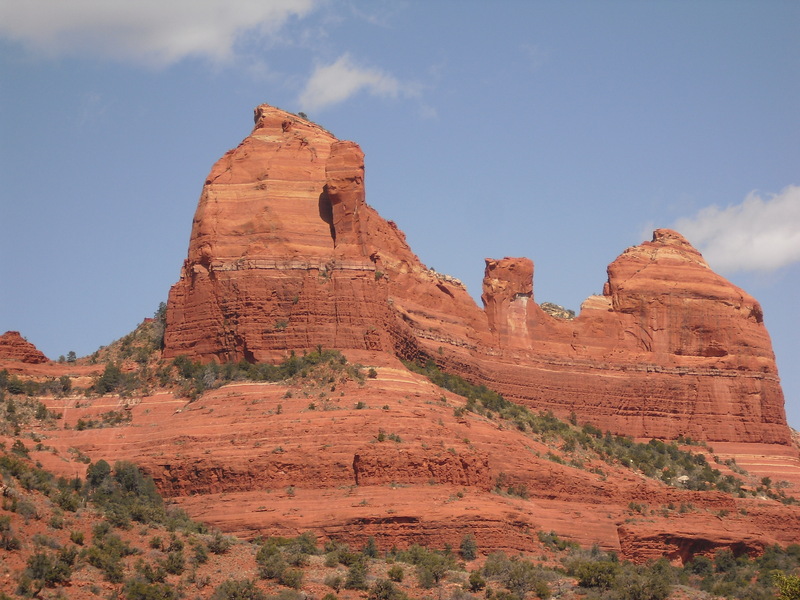 Sedona is often called “Red Rock Country.” It is a four seasons playground for everyone – whether you’re into arts and culture, shopping outdoor sports, history and archaeology, or the spiritual and metaphysical, imagine doing all this in some of the most spectacular scenery in the world. At El Portal Sedona Hotel we welcome you, and your pet to our friendly and beautiful city. This picturesque city is surrounded by red-rock monoliths named Coffeepot, Cathedral and Thunder Mountain. At the north end of the city is the stunning Oak Creek Canyon, a breathtaking chasm that is wildly wonderful. Natural endowments aside, you’ll also find world-class golfing, hiking, shopping, artisans, and an incredible array of dining establishments to keep you satisfied. Escape the chaos of life, kick back and relax at El Portal Sedona Hotel. El Portal Sedona Hotel is one of the first pet-friendly hotels in Sedona and offers a home away from home for pets and their owners. The resort accommodates both small and large pets, and will provide visitors with ideas for fun excursions to be enjoyed with four-legged companions. “Sedona is a leading vacation destination for pet owners,” said long time Sedona resident and owner of the El Portal Sedona Hotel, Steve Segner. “At El Portal we treat pets like they are a part of our family and our friendly, dedicated staff will help you plan your day trips so you and your pet experience the best that Sedona and Arizona have to offer.” The location is fabulous, with the fine restaurants, upscale gift shops and galleries of the renowned Tlaquepaque arts and crafts village sitting just outside the enclave. Call El Portal at 1-800-313-0017 for the perfect Sedona Arizona vacation!